Dancehall icon Bounty Killer is reaching out to the hundreds of people and industry personalities that came out Monday night in support of his late mother Miss Ivy tribute and Ni-Night in Seaview Gardens. On Monday (March 5th) hundreds of fans and well wishers from across Jamaica turned up in Kingston to support the deejay. 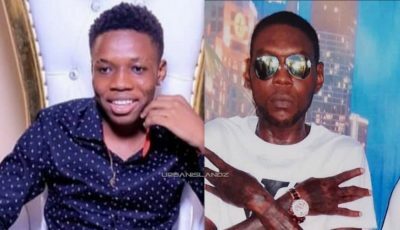 Additionally, several dancehall artistes, promoters and other members of the industry came out in support. Among them include, Elephant Man, Busy Signal, Bridgez, Kiprich, Mr. Vegas, Richie Stephens and more. 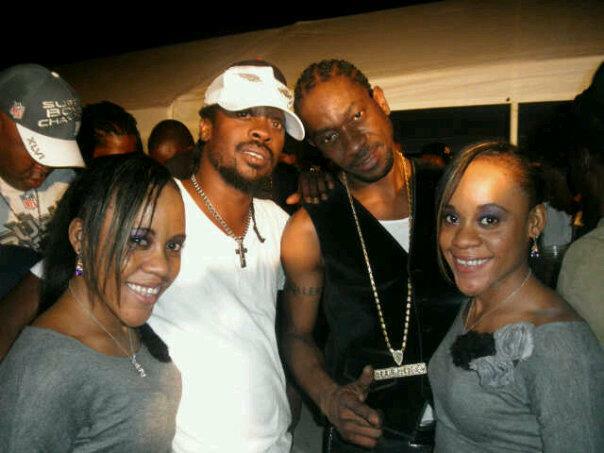 But perhaps the most suprising of them all was the presence of longtime rival Beenie Man. In a message posted on Twitter this week, Bounty Killer said he is grateful for the overwhelming support he is receiving, especially from Moses Davis, Beenie Man’s government name. “Me and my family just wanna extend our gratitude and appreciation 4 the turn out and support last nite 4 Mama. It was overwhelming to numbers of persons that came thru from as far as St. Bess and Clarendon, music industry players, media houses, and the general public, all my close friends fans and mostly to Moses Davis. The last man some ppl ‘d be looking to see came and paid his respek. Bless up the Doc as Bounty and Beenie is like PNP and JLP, we don’t need one without the other. I love Jamaican ppl yow. We The Best! !” Bounty Killer tweeted. Bounty Killer’s mother, Miss Ivy Williams, passed away on February 26th. Killer, has not yet announced her funeral arrangements. big up moses ya the dan and show up better morales, bounty don disrespect the king anymore. my Condolence killer may her soul (R.I.P) jus keep the faith..
BIG UP TO ALL DI ARTISTS SHOWIN BOUNTY HIM SUM LOVVE AN’ SUPPORT IN HIM TIME AH NEED, WE LOVE U AN MISS IVY JAH BLESS HAR SOUL. R.I.P MISS IVY <3. my heart goes out to you and your family your mom is in heaven love to death killer my artist. I hope this will peace between these two no more name calling please ..Your fans don’t like it and life is too short…Bounty make your mom proud …. RIP MISS IVY! MI LOVE HOW DI ARTIST DEM FORWARD TOGETHER FE BOUNTY MOTHER PA$$ING……… EVEN KARTEL HAD SOME GOOD WORDS……..